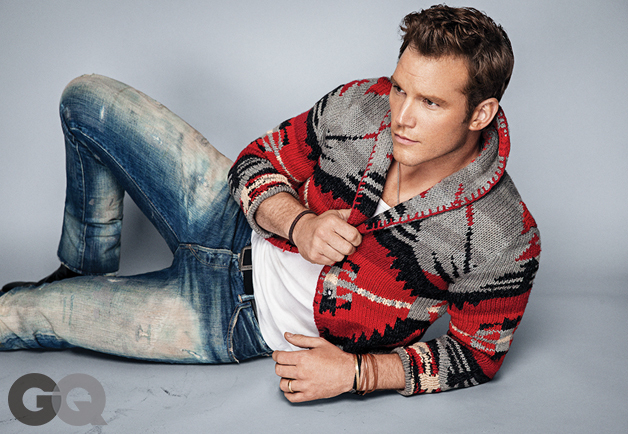 As we close out the year, we find it fitting to make Chris Pratt the last Inspired Style feature of 2014. No celebrity has made such a formidable style transformation as Pratt this year, going from schlubby Andy Dwyer in Parks and Recreation to dashing lead in summer’s megahit, Guardians of the Galaxy. 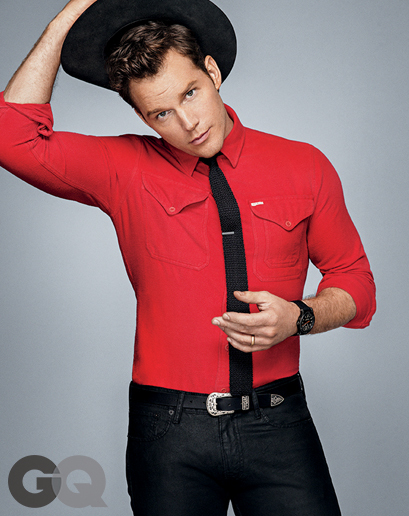 GQ has noticed as well, naming Pratt one of its Men of the Year. These photos from Pratt’s GQ photoshoot are testament to the power of a little men’s grooming. His style trajectory has closely followed that of his career, with his basic t-shirts and fuzzy mop of hair being replaced by designer suits a la SAND Copenhagen, a cropped quiff hairstyle, and just the right amount of stubble (though he sports a clean-shaven face in these photos). 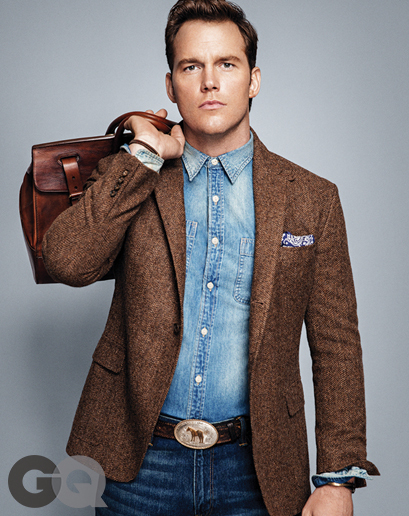 According to Primermagazine.com, to get Chris Pratt’s hair ask your barber for a textured, laid-back cut that’s short on the sides and slightly longer at the top. To style, just use a little bit of wax to push the top over and to keep it there (we like Blind Barber Hair Wax 60 Proof). Unlike pomade, wax adds hold without shine, which is what you want for this low-maintenance look. Shave with your desired straight razor (we like Dovo 5/8 Half Hollow Carbon Steel Straight Razor) or safety razor (we like Edwin Jagger DE89811 Chrome Plated Octagonal Safety Razor). Remember to use a moisturizing shaving cream like Proraso Menthol and Eucalyptus Shaving Cream to keep your skin smooth. Let your facial hair grow out until you achieve a bit of scruff. See more great men’s grooming products for Chris Pratt’s look at RoyalShave.com. « What is Beard Oil and How Do I Use It?